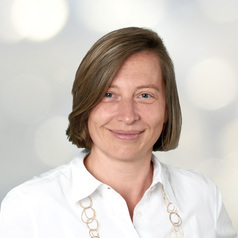 Bettina Büchel has been Professor of Strategy and Organization at IMD since 2000. Her current research topics include strategy implementation, new business development, strategic alliances and change management. She has led both public programs, such as Orchestrating Winning Performance and Strategies for Leadership, and custom programs for companies such as AGC, Allianz, Commerzbank, Evonik, Hempel, Nestlé, Nilfisk-Advance, Ooredoo, Orkla, Outotec and Tetra Pak on developing strategic priorities, implementing strategic initiatives and managing change. More recently, her work has focused on leading strategic transformation programs, working closely with CEOs to help build capabilities to drive strategic priorities. During her tenure at IMD, she has performed a number of roles: Dean of Programs on the management team; Chair of the Faculty Personnel Committee; member of the President’s Council; and first Regional Director of IMD’s hub in Singapore. In addition to her work with multinational companies, she is currently an angel investor and works with venture capital firms to evaluate and invest in start-ups to help accelerate and scale these ventures. Professor Büchel is of German origin and a Swiss national. She received a bachelor of economics and public administration from the University of Constance, Germany; a Masters of Human Resources and Industrial Relations from Rutgers University, USA and a PhD from the University of Geneva, Switzerland. After obtaining her PhD, she worked as an Assistant Professor at the Asian Institute of Technology in Bangkok, where she taught MBA and PhD students from across Asia. Based on her work with companies all over the world, such as Nestlé, Barclays, SGS, Tetra Pak, Ooredoo Mobile Money and Best Buy, she has written numerous case studies. She won an EFMD case award for the case series “Negotiating for a Cellular License in Egypt.” She has also developed simulations on the topic of execution, e.g. Strategic Feat. Professor Büchel has also published books on smarter strategy execution, facilitating change, organizational learning, comparative human resources management, joint venture management and communication technology-enabled knowledge organizations. Her academic articles have appeared in leading journals such as the Journal of Management Studies, Journal of World Business and Sloan Management Review.